There doesn’t seem to be many people recording or streaming LPS this season, and with Spazz out at Nightmare Nights Dallas, finding the episode to review took some time. Eight Arms to Hold You has none of the female pets, so if you don’t like the male ones, you should skip this episode. It focuses mainly on Russel, who gets to stay at the shop overnight while his owner is away. He’s super excited for the sleep over, but there’s spooky fish-related going-ons in the store, like random puddles and empty fish food containers. Mrs. Twombly jokingly said it was a ghost and Russel believes her. For the subplot, Sunil and Vinnie try to break in to the shop at night to join Blythe and Russel at their sleepover. During one of their efforts, they end up causing a power outage throughout Downtown City. Ignoring the number of people who are in danger from this, all Russel cares about is that the ghost can get him. He read online that a squid-headed monster exists and eats hedgehogs. A hunched-over pink Cthulu chases Russel with the classic Yakkity-Sax chase scene, complete with door gag. But this is all just an oxygen deprivation-induced hallucination on Russel’s part. The monster’s outline does appear later and grabs onto Vinnie and Russel, but we find out that it’s Ollie Arms, a pink octopus that had fallen off an aquarium delivery truck and had been living in the sewers. He comes out at night and eats the shop’s fish food. 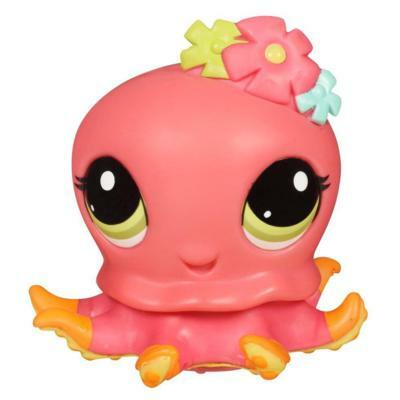 The fact that Ollie is the monster and the source of the mysteries in the shop is painfully obvious, as the commercials for this season of LPS has heavily featured “new pets,” showing a cobra, a sugar glider and an octopus. Even if you try to avoid spoilers by avoiding the commercials that are posted online, this commercial plays during the airing of LPS, so the story is spoiled for you while you watch it, which is really frustrating. When the Cthulu-esque monster shows up, it’s bright pink, the same color as Ollie. The biggest surprise of the episode, and in my opinion the best part, is at the end, where Ollie, Russel, Vinnie, Sunil and Blythe play a board game. 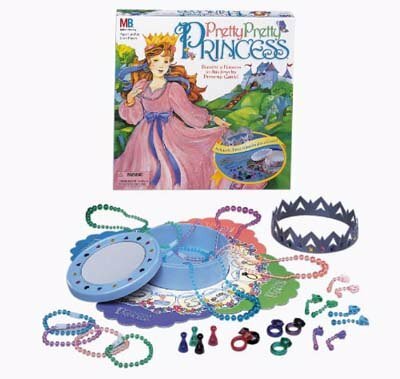 The game is called a princess game and is no way presented as weird or odd for the boys to want to play a game where the goal is to be a pretty princess. The only mention was Russel changing the rules, as normally games are designed to have a clear winner and loser. Hasbro is slowly turning into a more gender-neutral company, giving girls their own NERF guns to play with against the boys and creating a silver and blue Easy Bake Ovens for boys to be comfortable having. This inclusion of a 90’s game for girls in a reboot of a 90’s toy line for girls and the boys embracing femininity was great. I applaud the writers for this and for remembering a part of the childhoods of the first fans of the Littlest Pet Shop toys of the 90’s.